You’re a proud Lexus owner. Your vehicle excels in driveability, comfort and style. To keep your luxury vehicle driving the way it should, you need to find an auto repair shop that specializes in complete Lexus repair service. Maintenance services like oil changes, alignments and brake repair are just as important to the health of your car as a major engine repair. 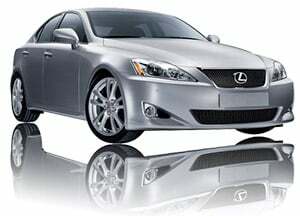 Your car should be maintained by someone who cares as much about your Lexus as you do! At USA Automotive, we understand the connection you feel with your Lexus. When it comes to the best Lexus repair and maintenance services, USA Automotive is the trusted dealership alternative in Raleigh, NC. USA Automotive can perform your Lexus repair and maintenance services quickly and accurately, at a cost that is much less than what you would pay at a Raleigh, NC dealership. Not only that, but we will also provide you with personalized service that is tailored to you, your unique driving style and your Lexus vehicle. Our team of ASE Certified technicians has the tools and the training to provide your vehicle with dealer-level service. We know Lexus models inside and out – and no matter what problem you’re having with your vehicle, you can bet that we’ve seen it before! We’ll get the job done right the first time, saving you time and money on your Lexus repair and maintenance services. Every Lexus repair or maintenance service we perform is covered by our 3 year/36,000 mile warranty – because we believe in the quality of our work, and we want you to as well! Our goal is to provide you with the best Lexus repair and maintenance services in Raleigh, and we extend that to provide you with the best customer experience as well. We welcome you to relax in our cozy waiting room while we work on your vehicle, and we’re happy to answer any questions you have about your car. Were you given a recommendation for a Lexus repair or service that you’re not quite sure about? 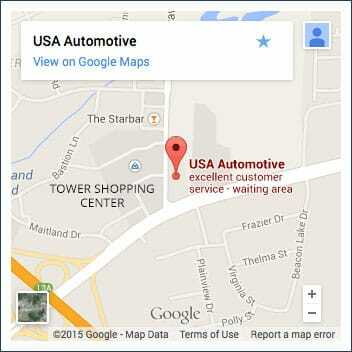 USA Automotive offers free second opinions on any repairs which might have been suggested to you. Give us a call at 919-249-5295 or easily schedule an appointment online today. 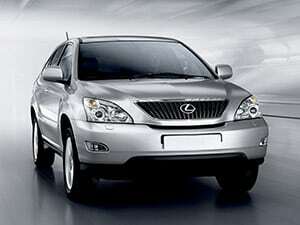 We look forward to providing you with the best service on your Lexus repair. If you’re in need of Lexus repair in the Raleigh area, give us a call at (919) 249-5295, schedule an appointment online, or stop by today. We’re excited to show you why USA Automotive remains drivers’ first choice for all of their automotive needs.